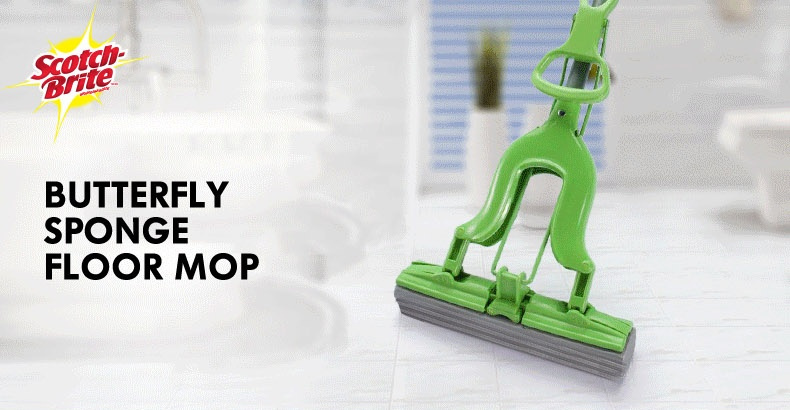 With its 45° angle mop plate, the butterfly-squeeze sponge mop fully flushes onto the surface, giving you the ultimate cleaning effectiveness. The new generation PVA allows the sponge to be soften within 1.5 minutes! 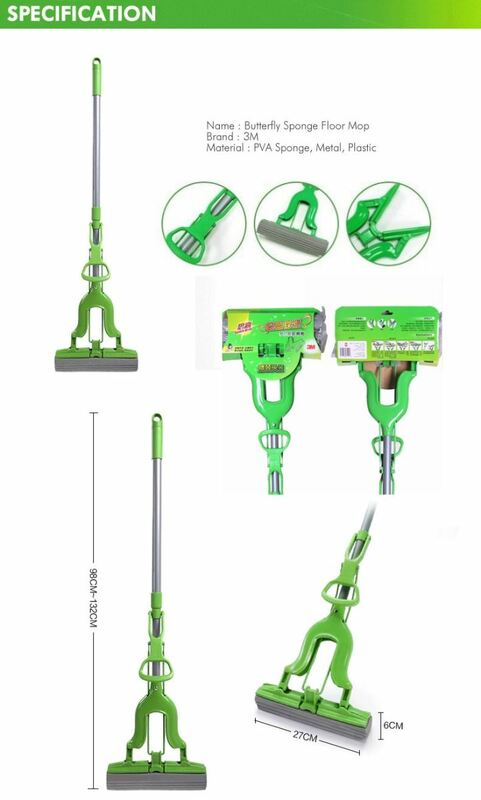 Designed with side clips, you can actually use the mop dry by just attaching a piece of Scotch-Brite® dusting cloth! Refill available. 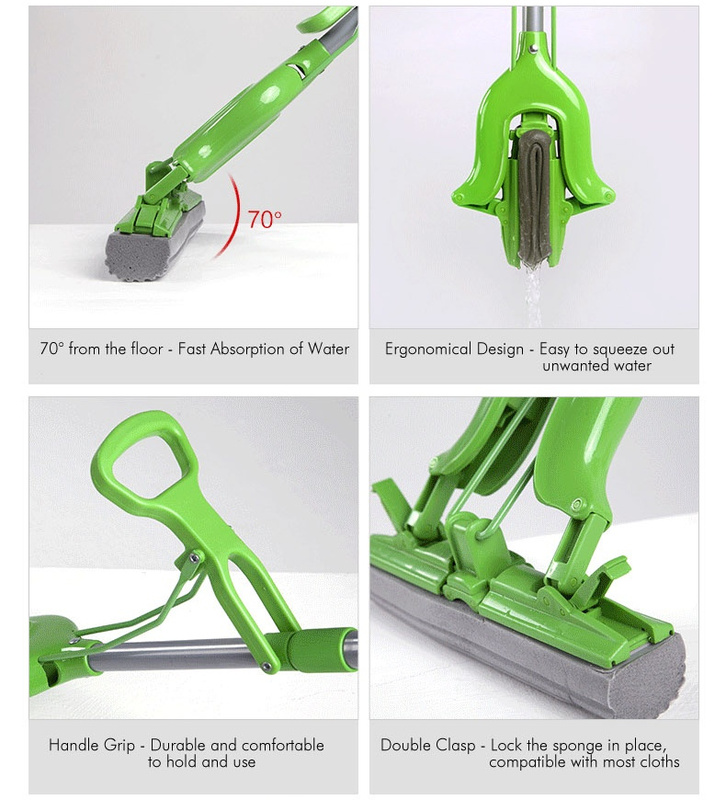 With its 45° angle mop plate, the butterfly-squeeze sponge mop fully flushes onto the surface, giving you the ultimate cleaning effectiveness at shortest possible time. New generation PVA sponge softens within 1.5 minutes! Designed with side clips, you can actually use the mop dry by just attaching a piece of Scotch-Brite® dusting cloth! 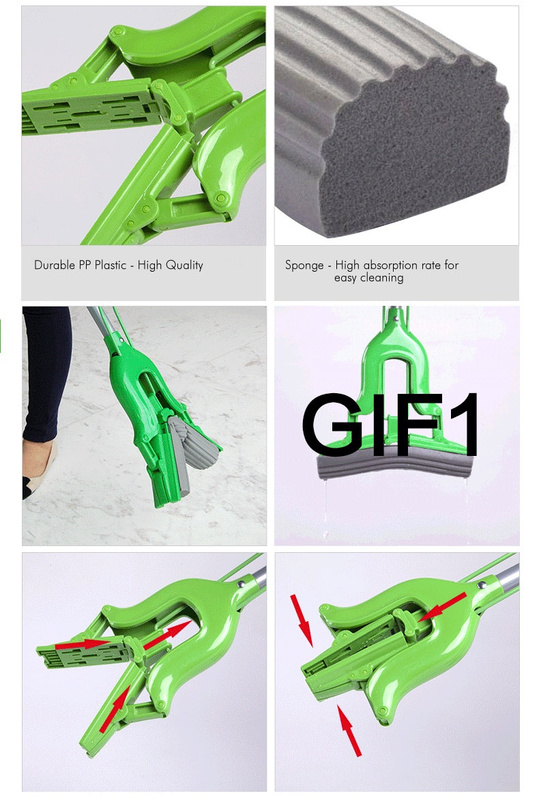 The mop handle is solidly built with comfortable gripping, the mop sponge absorbs the water quickly as well as disperses water (to desired moisture level) easily with its uniquely designed gripper. With special promotion @ Superbuy, this is the cheapest price you ever get comparing to others local online platform.